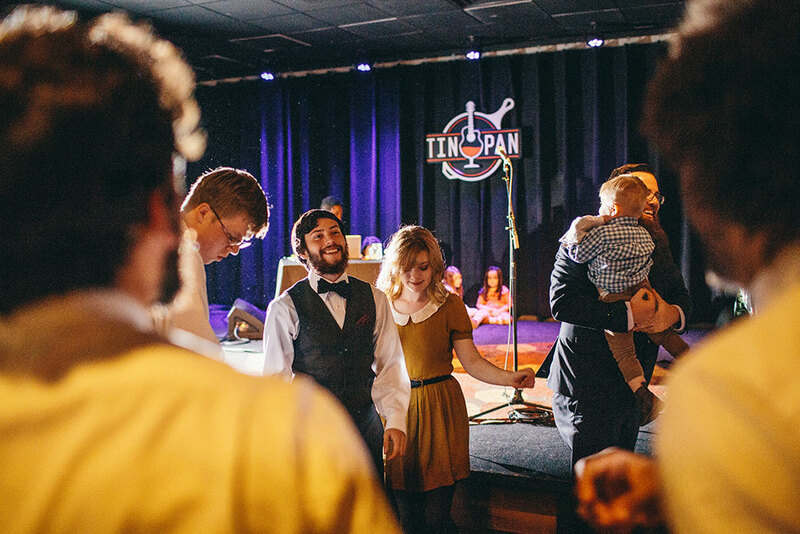 The Tin Pan opened in 2015 as a live music venue, but has since become one of the most popular event venues in Richmond’s West End. 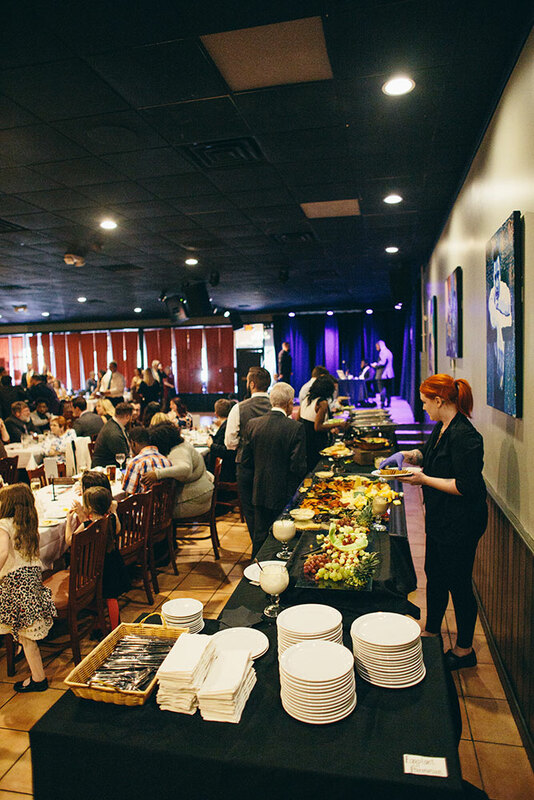 We host corporate events, presentations, luncheons, networking socials, receptions and private parties in our warm, contemporary space. 1. 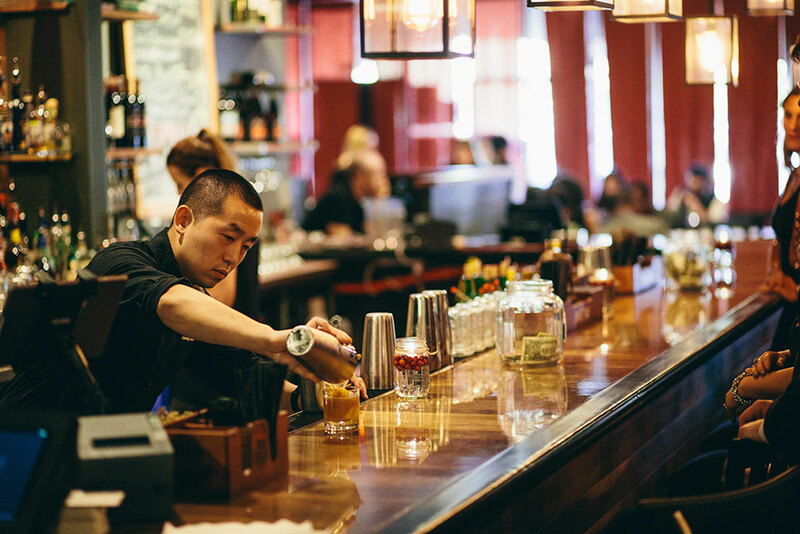 Our West End location is unbeatable for convenience. 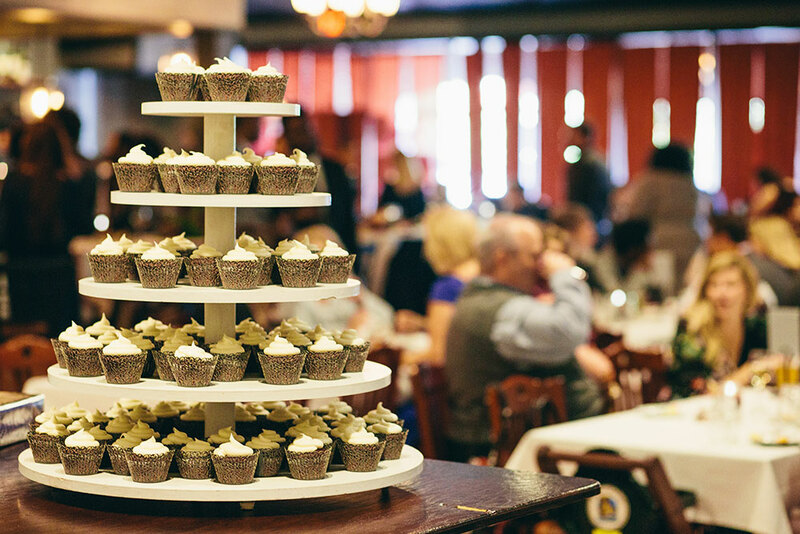 Whether your guests are coming from Glen Allen, Innsbrook, Short Pump or elsewhere, the Tin Pan is incredibly easy to reach. We’re located just off Parham Road, five minutes south of I-64. 2. 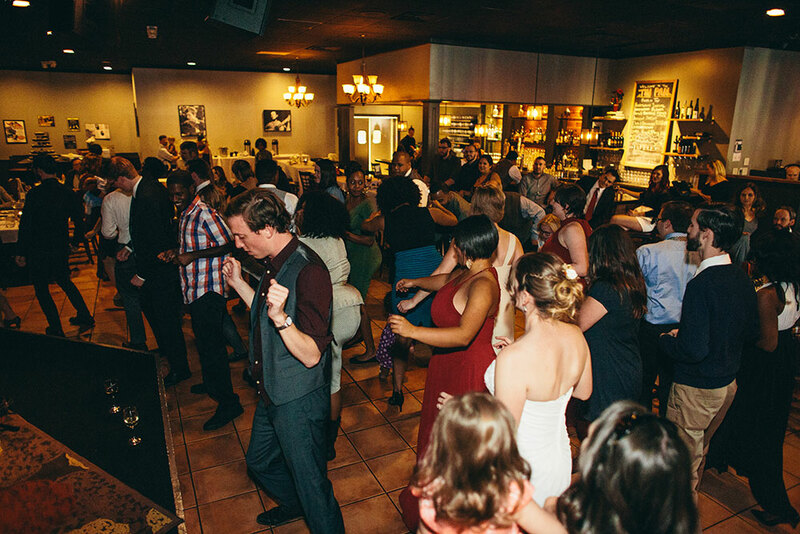 Our atmosphere creates memorable events. 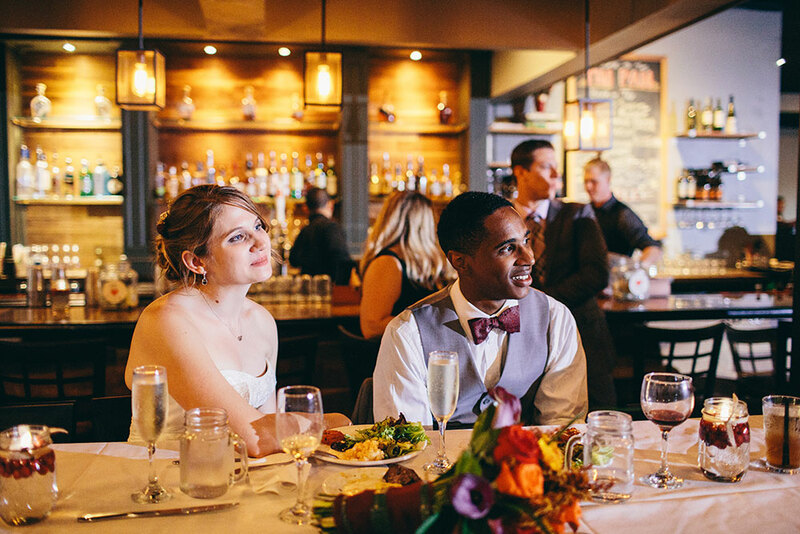 You’ve been to enough boring functions in Richmond’s corporate meeting venues and hotels. 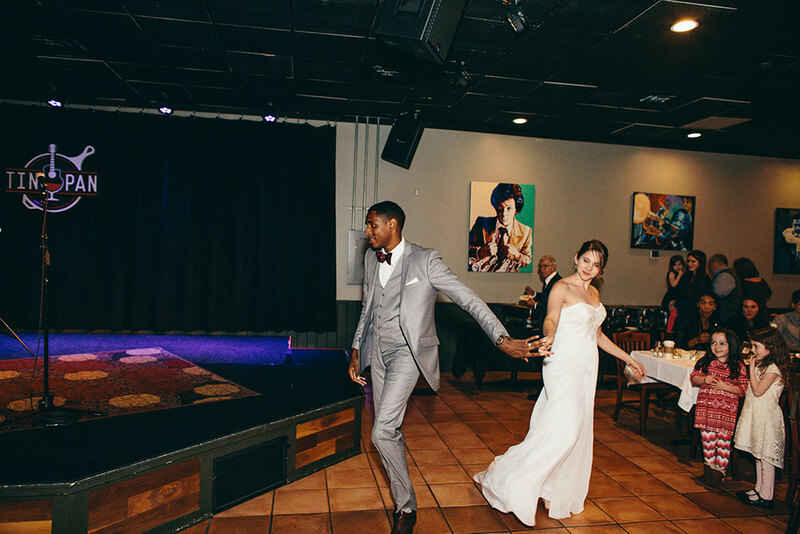 The Tin Pan is something different: a modern and inviting space with the energy of a live performance venue. 3. 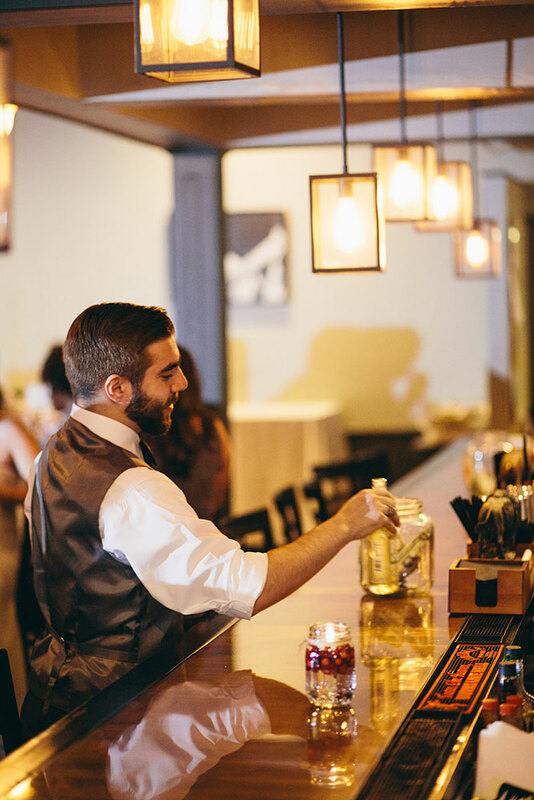 Our attentive service will delight your guests. 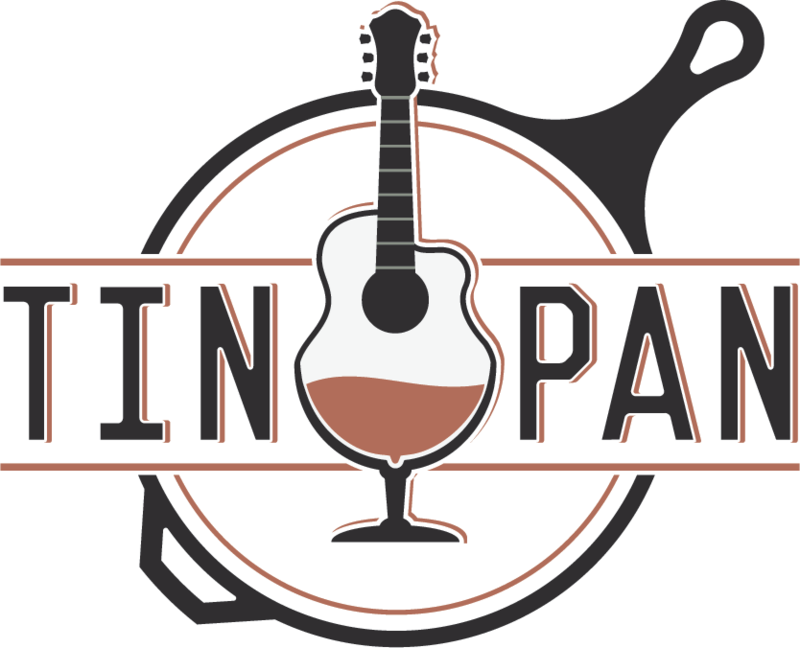 Owners Lisa Harrison and Kevin Liu work with the Tin Pan’s talented culinary and beverage team to make your event a success. 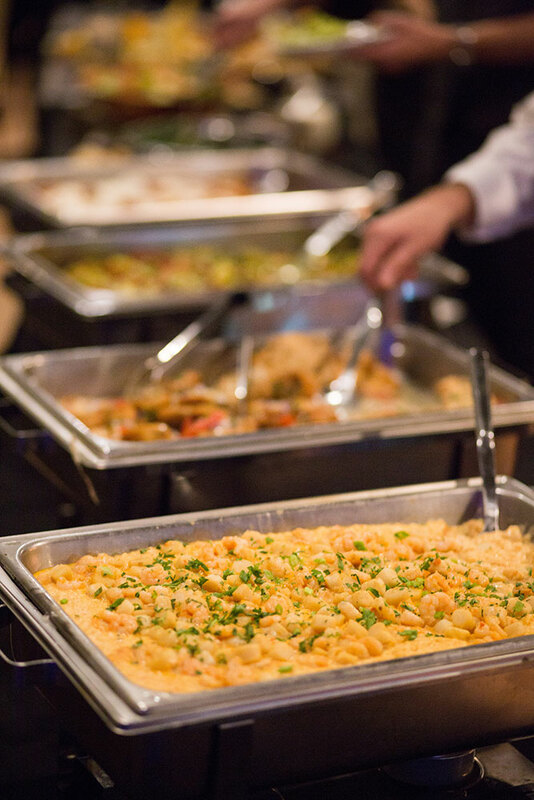 We offer a broad array of options for events, including hors d’oeuvres, buffets, plated meals, hosted bars and custom-made craft cocktails. 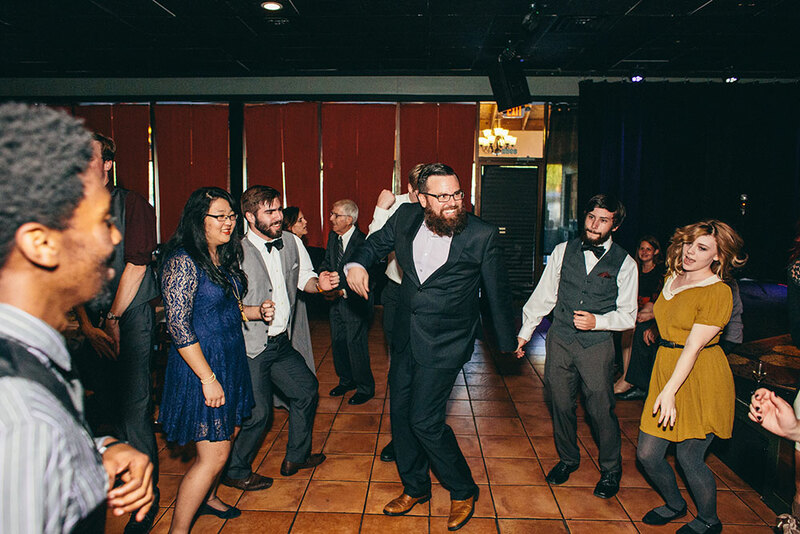 We can also help book one of Richmond’s top bands or DJs for your event. 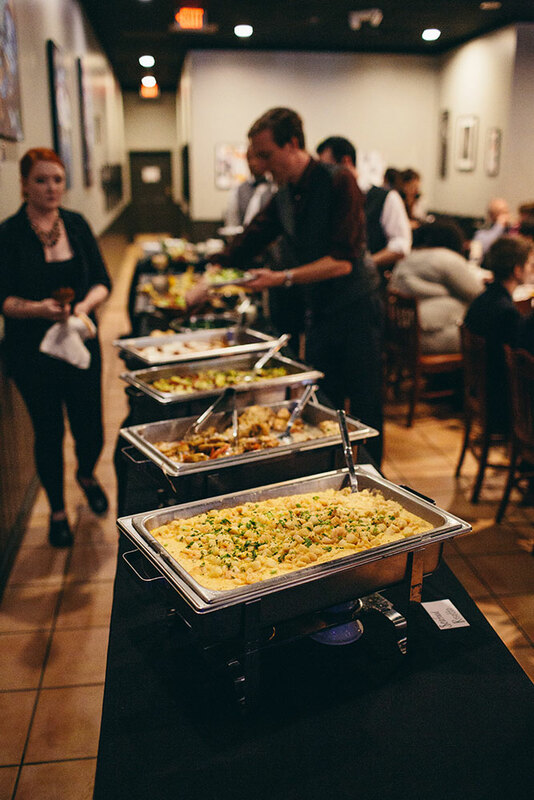 The Tin Pan can accommodate parties from 40 to 220 for all kinds of private and corporate events: fundraisers, happy hours, meetings, parties and wedding receptions. Our West End venue is available for booking seven days a week, both daytime and evenings. 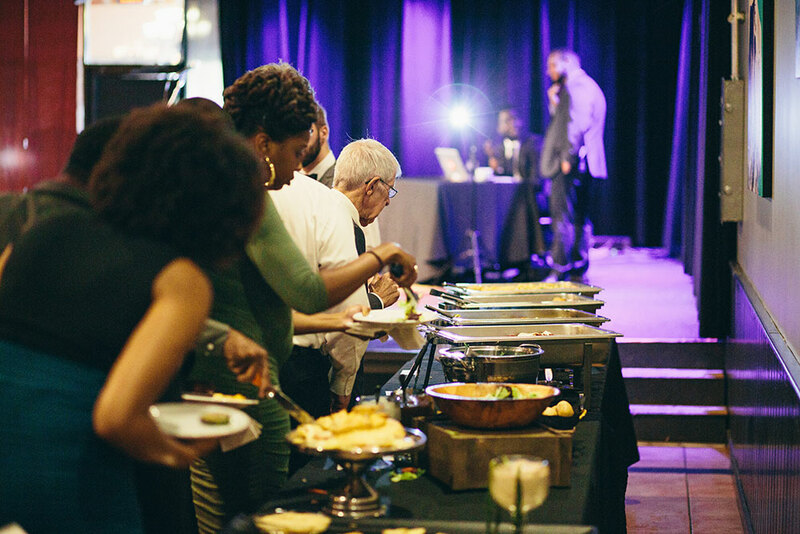 Contact us to check availability for your corporate event.